The government has just set ten regions in Indonesia among the destination for the tourism superior, to drive the national development of tourism to be able to compete with other countries as well as contribute to the community income. As expressed by the Deputy Director General of the Ministry of Culture and Tourism, Wibowo, in Sungailiat, Bangka regency, last week, The ten-winning regional tourism destination is expected to encourage each district to improve its performance in building and developing the tourism potential of all assets. Ten pre-eminent regional tourism destinations that are defined government of North Sulawesi, South Sulawesi, West Nusa Tenggara, East Nusa Tenggara, West Sumatra, North Sumatra, South Sumatra, Riau, East Kalimantan and West Papua. "Every year we provide an assessment of the area which will be pre-eminent destination, with attention to various aspects, namely natural potentials, infrastructure and community minded". Although Indonesia has 33 regional tourism destinations which are spread from the West that is the province of Nanggroe Aceh Darussalam to the most Eastern province of Papua, but only 16 areas that absorb 90 percent of domestic and foreign tourists. To-16 tour destinations are Bandung, Jakarta, Yogyakarta, Batam, Bali, Toba, Karakatau, Tana Toraja, Lombok, Semarang, Java, Sumatra, Manado, Sangalaki, Komodo and Kupang. From 16 regions, the government and then set the pre-eminent 10. 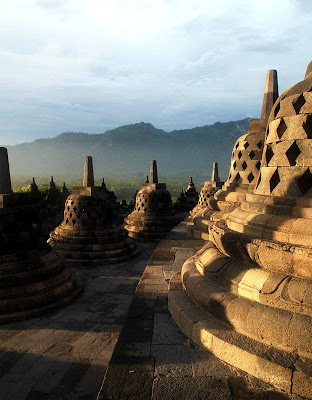 Get discounted price every hotels in Indonesia here.